Are We Eating Fishy Food Tour! The tour was amazing! The fishy fleet made it all the way to Washington State where they are spreading the good news about 522, that could label GMOs in Washington. The vote comes up in November. Check out this video showing the journey! Announcing the Are We Eating Fishy Food National Tour! REAL Cooperative is proud to be participating in this national tour that will be educating citizens from coast to coast about GMOs over the next 2 weeks. Please follow the journey on FB and our new Twitter #getrealcoop. Have you been eating fishy food? 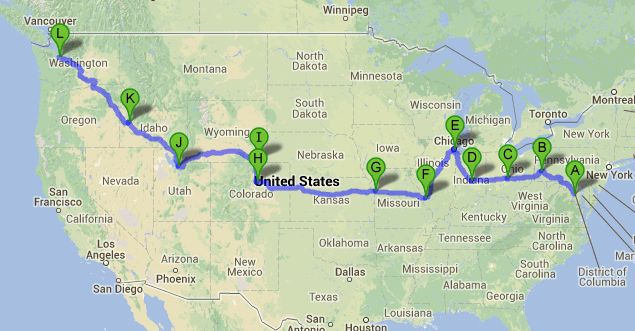 Tonight begins the 3000+ mile Are We Eating Fishy Food Tour across America. We hope that you’ll be able to swim on over to one of the events the activists have scheduled along the way! There is something fishy about GMOs (Genetically Modified Organisms), plants or animals which have been genetically altered and would not occur naturally despite what Monsanto or other biotech companies claim. These newly introduced “transgenic” species exhibit unexpected and unintended traits, and many say that their introduction into the environment, along with the insecticide they are most often paired with, has led to higher incidences of health problems. Most commonly, pesticide companies engineer new proteins into our food crops that enable high doses of their weed killer to be sprayed. These new proteins have not undergone any long term independent safety testing, and weed killer residues in our foods are going through the sunroof. The FDA is about to green light a genetically engineered salmon into our food supply without labeling, in which genes from an eel like ocean pout have been inserted. This GMO fish if it escapes would decimate wild salmon populations. Sixty-four countries around the world require labeling of GMOs, but in the USA and Canada these items are commonly found in the grocery store without a label. Are we eating fishy food? Let’s demand some answers. Label GMO food so people can make informed choices. We believe that people have the right to choose what they eat. The essence of food democracy is that we know what is in our food, and whether or not our food has been artificially altered.